Arab American Lawyers Association of Southern California and several co-sponsoring organizations* invite you to join JAMS for a complimentary Q&A session with Justice Carlos Moreno, Judge Jay Gandhi, and Judge Diane Wayne to discuss pathways to success and career development for diverse attorneys. Mr. Edwards will be speaking to us about Deposition Practices. A sometimes overlooked yet critical part of our civil practice in the legal field. You will find this presentation both informative and practical in your everyday practice. This is a meeting you WILL NOT WANT TO MISS!! Congratulations to Maurice Sanchez on his Judicial Appointment to OCSC! 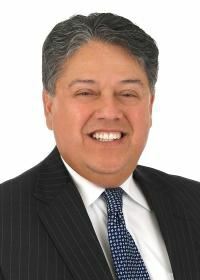 The HBA congratulates Past President Maurice Sanchez on his appointment to a judgeship in the Orange County Superior Court. We wish Mr. Sanchez the very best on his journey to judgeship in the Orange County Superior Court! Congratulations to Michael E. Perez on his Judicial Appointment to OCSC! The HBA congratulates Michael E. Perez on his appointment to a judgeship in the Orange County Superior Court. The HBA Judicial Evaluation Committee interviewed Mr. Perez and the Board endorsed his application for appointment. We wish Mr. Perez the very best on his journey to judgeship in the Orange County Superior Court! Michael E. Perez, 51, of San Clemente, has been appointed to a judgeship in the Orange County Superior Court. 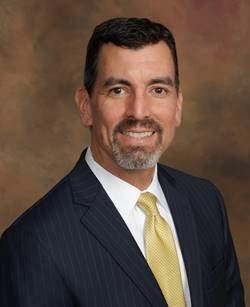 Perez has served as an assistant public defender at the Orange County Public Defender's Office since 2015, where he was a deputy public defender from 1997 to 2015 and a law clerk from 1996 to 1997. Perez earned a Juris Doctor degree from the University of Southern California School of Law and a Bachelor of Science degree from California State Polytechnic University, Pomona. He fills the vacancy created by the conversion of a court commissioner position on August 28, 2018. Perez is a Democrat. Summary: The Proposition 66 Rules Working Group is proposing amendments to an existing rule relating to appeals from decisions in habeas corpus proceedings and the adoption of several new rules and a form specifically addressing appeals from superior court decisions on death penalty–related habeas corpus petitions. These proposed rules and the form are intended to partially fulfill the Judicial Council’s rule-making obligations under Proposition 66 by establishing procedures for this new type of appeal. Deadline to submit comments: Monday, November 19 at 5:00 pm. Summary: The Proposition 66 Rules Working Group is proposing the adoption of six new rules of court relating to superior court procedures for death penalty–related habeas corpus proceedings. These proposed rules are intended to partially fulfill the Judicial Council’s rule-making obligations under Proposition 66 by establishing procedures for the superior courts’ new responsibility for this type of proceeding.